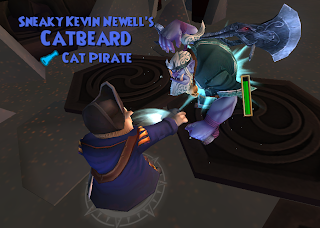 Catbeard has a great Epic pool, including Riposte, Relentless, etc. A good build is to give him Relentless 2, Riposte 2, and Flanking. The second tier of Riposte can also be replaced with Repel Boarders, which may be more useful to certain classes. Riposte 3, however, generally is not worth it; the additional dodge only lasts for one turn, so it is likely for it to not be of much use. 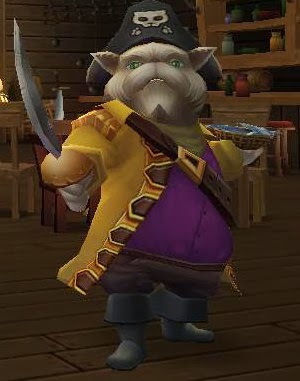 Keep in mind that Catbeard is a Privateer, so his Dodge isn't the best. You may want to use El Toro's Espirit de Corps buff to get his Riposte going, or even one of your own buffs. Riposte, Flanking, and Repel Boarders are all great triggers for potential Relentless chains, which can severely weaken an opposing enemy. Additionally . . . he has some of the best critical animations in the game. Enough said there.